Looking for a WordPress / BuddyPress Developer? I build robust themes, plugins, and web applications. I’m a full-time freelancer developer living in South Florida (Miami/Ft. Lauderdale area). I am a WordPress developer and specialize in BuddyPress sites/applications. I also do stand-alone PHP work. 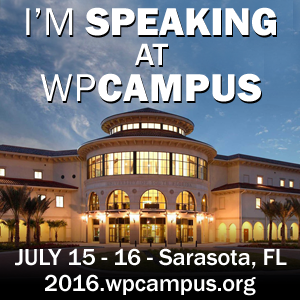 I’m also a speaker, meetup organizer, conference organizer, and father of three. If you would like to contact me regarding a project, please read the information on this page. 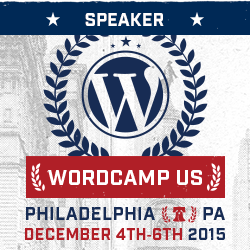 #wcus always has a nice atmosphere but this year in particular let’s up the happiness factor. Got some GREAT response from this post on Twitter made on November 20th (see above). So i’m posting some information here (and anyone can reach out to me on Twitter or email me directly). They are Hersey chocolate bars wrapped in a custom made label, a play on the term ‘Happiness Bar’ which you find at most WordCamps (except this one is an actual bar – candy bar). They started at WordCamp Miami a number of years ago, and the wrapper was made open source so any WordCamp can use them. Usually whatever we can get at Sam’s Club – standard chocolate (no nuts, due to potential allergies), dark chocolate and white chocolate. But if someone wants some vegan or other variety and can point us in the right direction we would love the support to make this a more diverse thing. Why Give These Out At WordCamp US? I think – after drama and stress this year in and out of the WordPress community – we need to spread a little more happiness. Especially to volunteers, contributors, testers, and to the youth. But we all deserve it. Approximately $150 for the candy bars and $150 for the printing of the labels. Labor (putting the labels on) and transport/shipping will be handled by me, so there’s no cost there! In the past this has been done a bit guerrilla style, so not to distract from sponsors or the event itself. Usually they are personally handed to sponsors, given to official volunteers to place in the Happiness Bar or other tables, attendees (especially youths). This is usually done on Friday and Saturday (the main days) of the conference. What Do I Get If I Sponsor? Short answer is that the labels are already designed, so we won’t likely be able to print logos or anything like that on the labels. However we will make sure to mention sponsorships on Twitter, blog posts, and when we hand them out. Would also consider offering small stickers as we hand the bars randomly if you can get that to me by the Thursday before the event. Open to ideas as long as it doesn’t interfere with the sponsorship system at the conference itself, and it doesn’t attract unneeded attention. This test was sent as a link to a WordPress Beta website already built (I was not physically present with the students and the students didn’t need to setup or install the WordPress site). Tests were done on their own computers. Students tested the example site for approximately 10-20 minutes. Students were high school age, and most if not all had a least one Computer Science class. No reward or compensation for the test – purely voluntary. After Spending A Bit Of Time, Did You Understand The ‘Block’ Concept? Vast majority did, relatively quickly. Were you able to do any of the following? Overall, even though you spend a short period of time, what was your impression if you had to use this to write content for a website? What’s Your Experience With WordPress? Do you have a blog or your own personal website? If so, what powers it (or what runs it)? What social media do you use (even if it’s not frequently)? 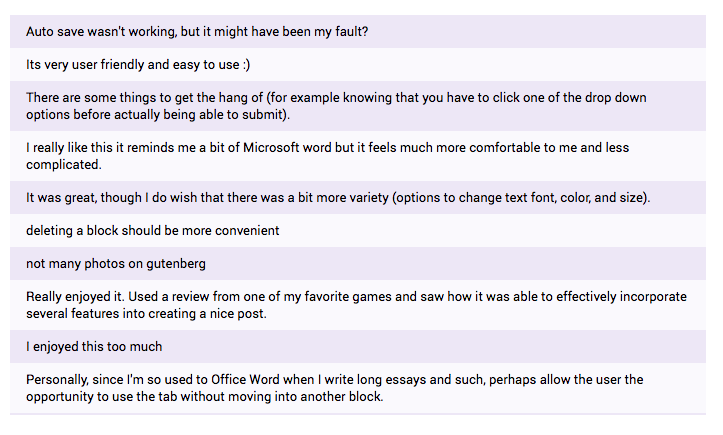 While there was some interesting and critical comments, overall it was a positive reaction to Gutenberg. Is a sampling of 40 students from the same area a good sampling for Gutenberg? Not really, but this matches with my personal experience i’ve seen with Gutenberg over the past year. Those especially new to WordPress (young or old) or those younger even with a little bit of experience with WordPress tend to favor Gutenberg in a positive light. When I say younger I am counting Generation X and Y (anyone younger than 30, let’s say). I would contrast that to some reactions from Gutenberg online from the “older generation” or those who have been using WordPress for a long time. My theory is that the young are more open to how Gutenberg works and change itself. But I thought these results were interesting – and I would like to see further study go into this regarding WordPress (and Gutenberg) towards the next generation of WordPress users. 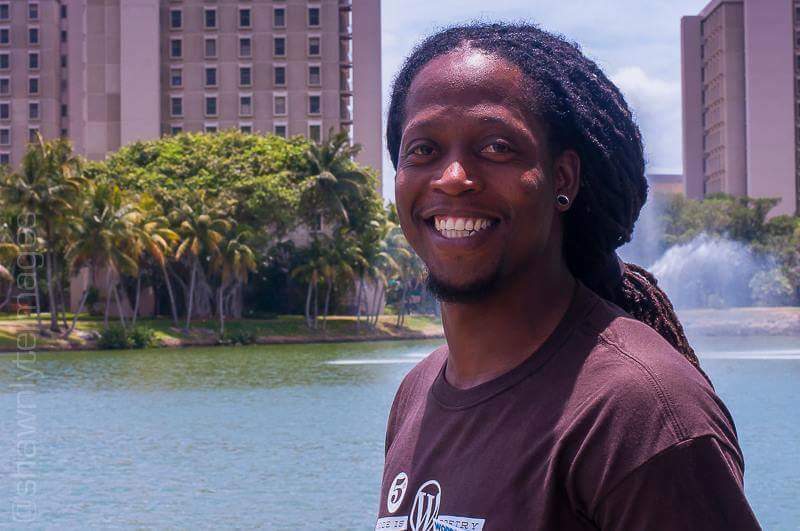 With deep sadness I am letting the WordCamp Miami and WordPress community know that Todrick Moore, a friend and volunteer to the community passed on September 25, 2018 of Leukemia. He was 41. 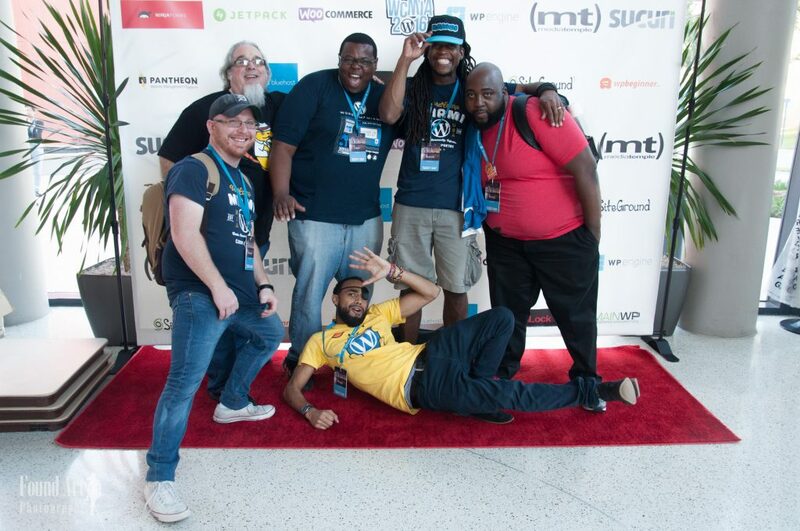 Todrick Moore was one of the kindest and strongest members of the South Florida WordPress community, and I still to this day remember meeting him first at his local meetup. Like many people that come to meetups he was eager to learn, but also as I would quickly come to realize, he would be eager to help others as well. After coming to meetups, Todrick quickly volunteered and became a WordCamp Miami organizer in 2015 and 2016. Todrick primarily contributed in the areas of logo design and signs for the event, as evidenced by items he shows on his website. He contributed valuable time to providing even the smaller branding details, some of which only a small percentage of attendees saw. But to Todrick, these details were a part of the process and the quality and efforts he brought haven’t been matched since. He also was a vital part of the key organizer team during WordCamp Miami itself – it doesn’t matter what the job or task that needed to be done, he would help. Todrick wasn’t just a supporter and volunteer. He was a good person, someone you would have to try VERY hard to NOT get along with. The news hit me quick and hard when i got the phone call from another WordCamp organizer with the news. It was especially surprising since I was speaking with him a month ago via email. Although Todrick couldn’t volunteer past 2016 due to his illness we kept in somewhat regular contact. Every time he spoke he mentioned that he missed the community and was hoping to make “a comeback”. Of course, I told him to take it easy and it would be an honor just to see him again. He was also starting a website and business – Made In The MIA. Shon, his wife, has informed me that the t-shirts at Made In The MIA will benefit Leukemia Lymphoma Society and bring awareness to Be The Match for people to become Bone Marrow Donors. She is looking for help with the website and online fundraising (reach out if you can help, although I know the WordPress community will take care of her). Todrick will leave a hole in the local community and I’ll miss chatting with him. I won’t be able to look at some WordCamp Miami graphics, logos, and t-shirts without thinking about him – his quiet and kind demeanor, willingness to help, and be someone you can rely on. As no doubt his family, friends, and church will remember him in a similar way. When you invest time into a talk – whether you are giving it a big tech conference, a small meetup, or even at an online event – you want to make sure the audience understands what you presented. So you make yourself available for questions. But many times I’ve seen first hand speakers a little frustrated with the lack of quality questions, audience participation, or getting any feedback at all. There are a number of factors involved here, but wanted to relate some tips that have personally helped me get better audience participation and questions from my talks and meetups (along with observing some favorite speakers of mine do at least some of these things in their presentations). To keep things brief, I’m focusing on only five things. Scenario: Suppose you are at a WordCamp and you are trying to determine in the beginning of your talk if people have ever used WordPress. For many the first natural question might be “how hasn’t used WordPress before?”. Seems fine. But that requires someone to admit not doing something by raising their hand, and putting them on the spot (at least in their mind) or in a defensive mode (“I don’t want to admit that”). I’ve gotten better quality results by asking a more positive-aimed question and seeing who DOESN’T raise their hand (“Who here has any experience with WordPress?”). You would think the act of not raising their hand would give a same “putting me on the spot” but in many cases this seems to put people less in a defensive mode. Try it, and see what kind of results you get. It’s always a good idea at the beginning of your talk to state when and how you’ll be taking questions. I’ve often seen speakers get sidetracked or distracted by someone attempting to ask a question in the middle of their presentation. You don’t see this often in larger conferences, but more often in smaller settings. I’ve seen this at WordCamps frequently enough. Stating up front how and when you take questions gives the audience a better chance to prepare their thoughts while keeping your presentation “on track”, at least in your mind. If you decide to take questions at the end of your talk (or during pre-defined periods during the talk), it might give audience members some brief additional time to form their questions better in their head (or better yet, their question might be answered by just listening to the rest of your presentation). Putting your presentation online (along with maybe even a dedicated custom page of your slides and resources) and pointing to that URL at the start of your talk has it’s advantages too. If someone asks or off-topic or deep question, this gives you an option to quickly say “the information on that URL has the answer or can guide you there, and if not reach out to me”. Takes 10 seconds to say, and you can move on to the next question or taking point. I’ve seen people literally get to a conference an hour before they speak, get up and speak, and have to either leave the venue or otherwise become unavailable. When you can, try to be available after your talk. WordCamps have “Happiness Bars” or rooms set aside for semi-private conversations. 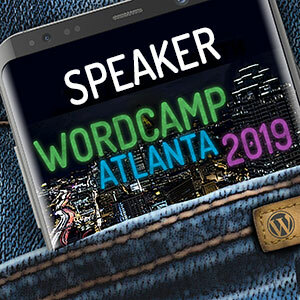 If you have access to a WordCamp organizer, ask them if they can encourage the practice of setting aside space at the “Happiness Bar” or some other easy to find location where you can have further discussions. This way you aren’t trying to answer multiple questions within those last few minutes as you are trying to “close it down” and get off the stage before you go over time. This one was debatable to add, because honestly it depends alot on your personality and how your audience perceives you. Some speakers have different levels of approachability, so just be conscious of yours. Do you say in your presentation something along the lines of “i would love to have a discussion about (your subject) with you (the collective you)” or “please reach out to me for kindly discussion on (medium of your choice)”? Make sure ways to reach out to you that you desire to be known are clearly visible in your slides (at the beginning, at the end, or both). Some speakers use custom contact forms that they point to specifically for the conference they are speaking at. I’ve even seen speakers a tech events hand out physical feedback forms. If you desired communication and feedback, make it easily both physically and emotionality for your audience to do so. This isn’t always possible depending on what subject you are speaking about, how you are delivering the talk, etc. However I’ve seen recently some speakers get an increased benefit of having some part of their presentation interactive with their audience. This can come from the form of taking a survey or poll with raised hands in the audience (see tip one) but you can also try “crowdsourcing” questions or do inglive polls (audience responds with their smart phones while you continue to speak). Some applications and sites like Sli.do or Mentimeter do this. Kahoot offers some really nice fun and interactive options, including turning some part of your presentation into a gameshow (if you wanted to). There are other ways and methods, but I thought these were the five biggest ones that not every speaker may be aware of or needs reminders for.